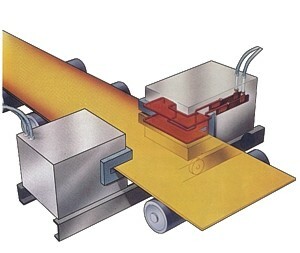 Induction strip edge heating conserves energy by using energy only when required. It increases material yield and saves wear and tear on rolls due to the even temperature over the whole width of the strip. More even roll wear increases the possibility of simplified production planning and reduced intermediate stock. Ajax TOCCO induction strip edge heaters are adjustable to different strip widths and are easily installed. More important, material yield and smoother production flow can save as much as one million dollars a year based on a ½ percent increase in yield. 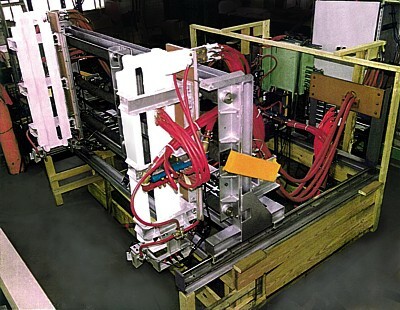 A specially designed edge heating coil has been developed for galvanneal products. The air knives that wipe the zinc off the strip as it exits the coating pot leave a heavier zinc coating on the edge. The result of this heavier zinc layer is a bright, shiny, or non-alloyed area at the edge of the strip. If the specifications of the end-user requires the edge to be alloyed the same as the body, induction edge heating is the answer. This system can heat a specific distance into the edge as determined by the customer. 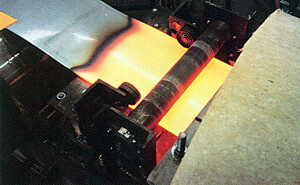 Cold edges during the rolling process affect quality, roll wear, and energy loss. Induction strip edge heating conserves energy by using energy only when and where required. It increases material yield and reduces wear-and-tear on rolls due to the even temperature over the whole width of the strip. Ajax TOCCO induction strip edge heaters are adjustable to different strip widths and are easily installed. © 2005-2016 Ajax Tocco Magnethermic® Corporation. All rights reserved.